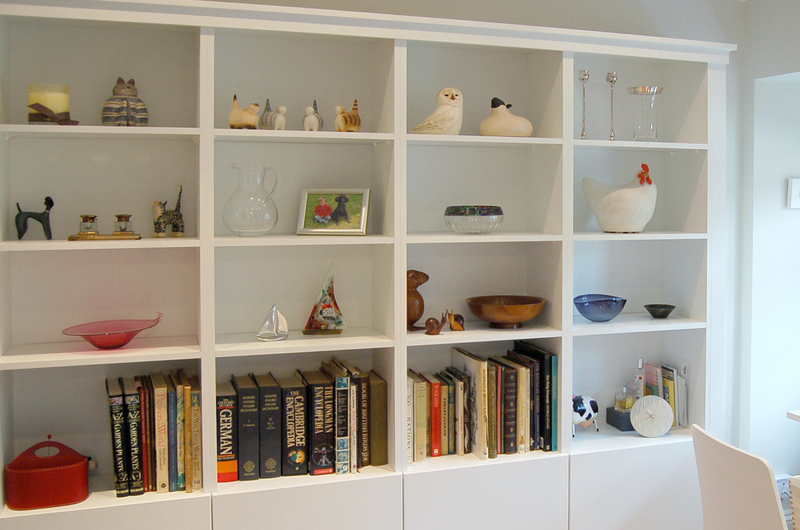 A combination of shelves, base cabinets and tall cupboards provides plentiful storage in this home office. 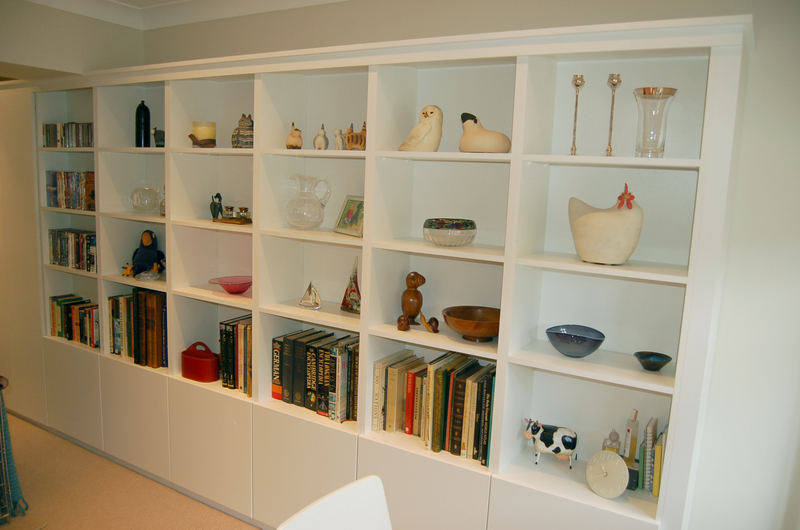 All of the units are hand painted in a white satinwood finish. Additionally, the cabinet doors open and close on a push-release system, eliminating the need for door knobs and giving the unit a crisp, clean and uncluttered feel.